Resident Evil: Revelations – обновленная версия, выпущенной в январе 2012 года видеоигры в жанре Survival Horror, разработанной и изданной японской компанией Capcom для портативной консоли Nintendo 3DS, заслужившей благосклонное отношение фанатов и прессы. Resident Evil Revelations 2 - Episode One: Penal Colony 90 р.
Resident Evil Revelations 2: Episode One steam RU+CIS 95 р.
Resident Evil Revelations (RU/CIS) steam key 99 р.
Resident Evil Revelations 2 - Episode One: Penal Colony 99 р.
Resident Evil Revelations 2 Episode Penal Colony RU-CIS 99 р.
Resident Evil Revelations 2 - Episode 1: Penal Colony 100 р.
Resident Evil Revelations (Steam Key / Region Free) 100 р.
Resident Evil Revelations stam gift (RU+UA+CIS) 115 р.
Resident Evil Revelations (Steam) RU/CIS 122 р.
Resident Evil Revelations - Steam RU-CIS-UA + АКЦИЯ 125 р.
Resident Evil Revelations 2 - Episode 1: Penal Colony 126 р.
Resident Evil Revelations Biohazard STEAM KEY ЛИЦЕНЗИЯ 127 р.
Resident Evil Revelations 2 / Biohazard Revelations 2 127 р.
Resident Evil Revelations STEAM KEY RU+CIS 128 р.
Resident Evil Revelations / Biohazard (STEAM KEY) 129 р.
Resident Evil Revelations GLOBAL / REGION FREE 146 р.
Resident Evil Revelations [Steam\RegionFree\Key] 146 р.
Resident Evil Revelations (Steam Key/RU+CIS) 148 р.
Resident Evil Revelations STEAM KEY| RU/CIS 149 р.
Resident Evil Revelations Biohazard STEAM KEY ЛИЦЕНЗИЯ 159 р.
Resident Evil Revelations 2 Episode 1 Penal Colony ROW 164 р.
Resident Evil Revelations (Steam) RU/CIS 169 р.
Resident Evil Revelations (Steam Key, RU+CIS) + Скидки 191 р.
Resident Evil Revelations-Complete(Steam Gift/RU+CIS) 199 р.
Resident Evil Revelations (Steam ключ) РУССКИЕ СУБТИТРЫ 199 р.
Resident Evil Revelations ( Steam Gift / ROW ) 225 р.
Resident Evil Revelations (Steam CD Key RU+CIS) 248 р.
Resident Evil Revelations (Steam KEY) + ПОДАРОК 266 р.
Resident Evil Revelations / Biohazard (STEAM GIFT) 279 р.
Resident Evil Revelations ( Steam Key / RU / Multilang) 290 р.
Resident Evil Revelations - STEAM - Region Free 299 р.
Resident Evil Revelations (Steam GIFT RU/CIS/UA) 349 р.
Resident Evil Revelations 2 Box Set STEAM CD-KEY ru 419 р.
RESIDENT EVIL REVELATIONS - STEAM - 1C - СКАН + ПОДАРОК 425 р.
Resident Evil Revelations 2 Complete Season Gift RU CIS 449 р.
Resident Evil Revelations 2 Deluxe Edition (22 in 1) 489 р.
Resident Evil Revelations 2: Deluxe Edition (Steam KEY) 495 р.
Resident Evil Revelations - Complete Pack [Gift/RU+CIS] 499 р.
Resident Evil Revelations (Steam Gift / Region Free) 499 р.
Resident Evil Revelations 500 р.
Resident Evil Revelations 2 BOX SET (Steam *KEY)+БОНУС 589 р.
Resident Evil Revelations / Biohazard Revelations (Steam Gift | RU) 637 р.
Resident Evil Revelations 2 BOX Set +4ep. +2 extra ep. 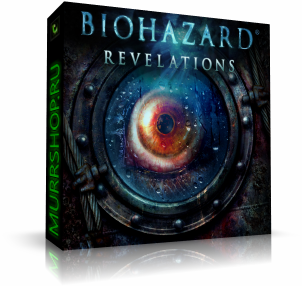 749 р.
Resident Evil Revelations 2 Deluxe Edition Steam -- RU 761 р.
Resident Evil Revelations - (Steam Gift Region Free**) 994 р.